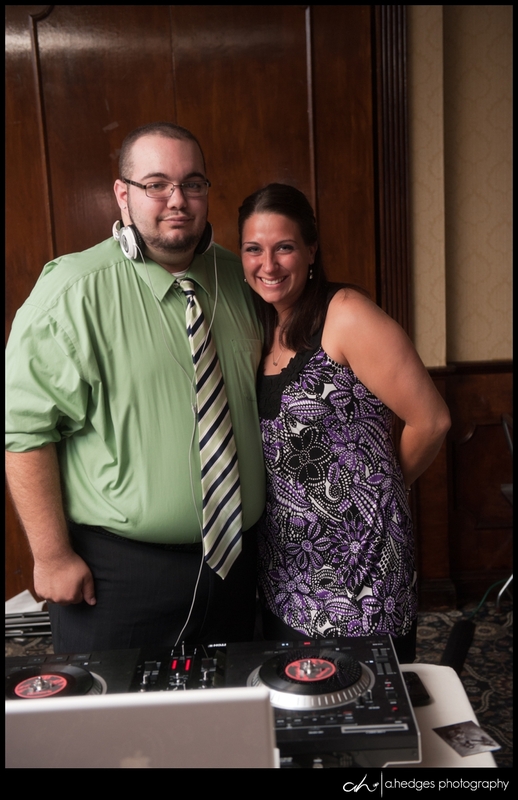 I had the privilege of working with DJ, Mike Cestaro, of Total Entertainment of Albany, last year at The Century House. Their website is currently under construction, but head on over to their facebook page for Mike's contact information. I asked Mike to walk us through the process of picking the perfect wedding entertainer from a DJ's perspective. "Our booking process is very simple. A couple calls or a facebook inquiry about hiring us as their DJ, we take their information and we then give them a quote on the spot. When we book a wedding we will set up an initial consultation with the couple to sign our contract and to give them a wedding information packet. This packet is like our bible for wedding days. It has all of the information we need to perform your wedding. It includes everything from bridal party entrance music and bridal party order, to songs you want played and cake cutting music. This just makes the wedding run smoother for us and we don’t have to bother the couple on their special day. We then offer a second consultation a week or two before the date of the wedding. As for contacting me during the planning process of your wedding, my company cell phone is on all the time, day or night, text, call, email, facebook anything, it all comes straight to my iPhone and I usually get back to you very quickly. Many couples that hire my company have seen us perform at weddings before and love what we do. For the most part they let us decide a majority of the musical choices for the evening. They all have certain songs they want to hear and if we normally don’t play it or its something you normally wouldn’t hear at a wedding we ask them to write it in our packet. Every wedding we do is different. We don’t have set playlist that we use at weddings. We play to our crowd. Not every couple that hires us is the same, so why should their wedding be the same as their friends wedding we did last year? We openly take requests from guests at weddings and we encourage it. This being said, we don’t play every request. If it is fitting and we think the rest of the crowd will enjoy it we play it. But if we are in a set of club/dance type music and the lights are going crazy and everyone is up jumping around and dancing I’m not likely to switch from LMFAO’s “Party Rock Anthem” to switch to Bruce Springsteen’s “Glory Days”!! If the song fits well and we feel it won't harm the vibe it gets played. The question of why to choose a DJ over just using an iPod comes up a lot in our field. The answer to that is simple … Personality. You aren’t hiring a DJ to stand there and just play songs all night, you are hiring a Master of Ceremonies who not only plays music but gets people motivated and out of their seats to have the best possible time they can at the couples wedding. Also technological errors could prevent your iPod from working like it should. I know with my company personally we always have backup computers, mixing boards, and speakers on hand at every event we are hired for. 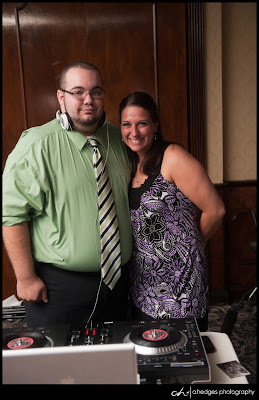 A few words of advice to couples looking to hire a DJ. If possible try to see your DJ perform before your wedding. Honestly a DJ can tell you exactly what you want to hear but until you see them perform you wont truly know what you are getting on your wedding day. Other than that have a great time cause at the end of the wedding, when the final song plays, the guests at your wedding will remember three things. How beautiful the couple was, how the food was, and how much fun they had, that’s where your DJ comes in. Good luck to you all and I hope this piece helped you out in finding the perfect DJ for your special day. "